There are reasons to cheer and cheer again in the international arbitration case which saw the defeat of a pharma giant and the endorsement of a nation’s right to formulate its own patent laws. 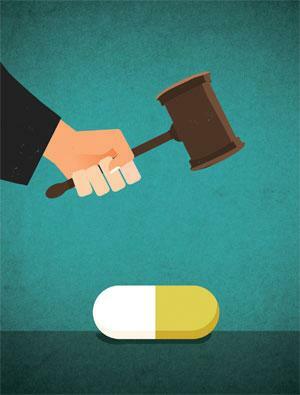 The case was filed in 2012 by US drug maker Eli Lilly against Canada for what it termed wrongful termination of patents on two of its drugs: Strattera (atomoxetine) for Attention-Deficit Hyperactivity Disorder and Zyprexa (olanzapine), an antipsychotic medication. The patents were struck down in 2010 and 2011 under Canada’s "promise utility doctrine", which stipulates that patent owners have to prove that their patents fulfil the promise of being useful in the treatment of a certain condition. Eli Lilly sought damages of $500 million, claiming a "radical change" in Canada’s patent law had unfairly infringed its profit-making rights till the expiry of the patent term. This is the first suit on patents to be filed under investor-state disputes. Although the Philip Morris case against Uruguay was also on intellectual property rights (IPR), it dealt with trademark infringement. Investment treaties (see "Investment terror", Down To Earth, 16-31 December, 2012) give private entities extraordinary privileges to challenge sovereign nations on policy matters if these impact profit flows. Eli Lilly used NAFTA or the North American Free Trade Agreement to sue Canada, claiming the utility doctrine contravened the agreement. Canadian courts have consistently upheld the validity of the utility doctrine, enabling other companies to market lower-cost generic versions of some wrongly patented drugs. Ely Lilly, with its profits reduced, had accused Canada of maintaining an "elevated standard" for proving the utility of a new drug, a standard it says is not found elsewhere. But there is a paradox here. Although PhRMA, Big Pharma’s lobby group, has said the promise doctrine is "fundamentally inconsistent with TRIPS", the global IPR rules set by the World Trade Organization (WTO), no country has yet challenged the Canadian law. Does this ring a bell? Section 3d of India’s patent law, which sets the ground rules for what is patentable or not by drug makers, has faced a similar challenge. Pharma giants have contested this section in Indian courts although no country has challenged it in WTO. The fact is TRIPS allows certain flexibilities that members can incorporate in their patent laws. Fortunately for Canada and for countries such as India, the arbitrator, International Centre for the Settlement of Investment Disputes (ICSID) in Washington, gave a ruling that upholds national sovereignty. Rejecting Eli Lilly’s claim that its profits were unfairly curbed by Canadian court rulings, ICSID emphasised that tribunals could overrule national courts only in exceptional circumstances. This is a refreshing break from the past when global arbitrators have usually sided with investors, overruling even benign policy changes that would in any way impinge on investor profits. On the substance of the case, ICSID said Eli Lilly was not able to provide any evidence that Canada had made a fundamental change to its patent law so as to trigger a claim under NAFTA provisions. Had the drug giant won the case, it would have cast a dark shadow over the Canadian judicial system and also opened the floodgates to compensation claims from a host of companies since 25 patents on 21 medicines have been invalidated over the last decade. Instead, Eli Lilly has been ordered to make good the costs Canada has incurred in fighting this suit. Point of interest: The reason why a Canadian federal judge invalidated the Strattera patent was because Eli Lilly had relied on an incredibly small, restricted clinical trial to demonstrate the drug’s utility: a seven-week, double-blind placebo-controlled study of just 22 patients. Little surprised that the court found it “too small and too short to provide anything more than interesting but inconclusive data”. Hear, hear.